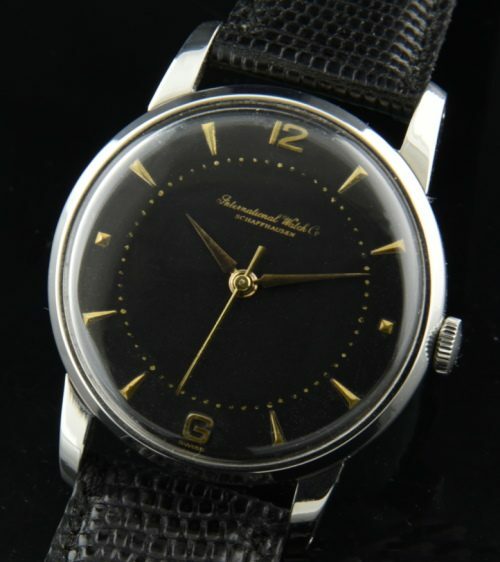 This is a 1950’s IWC manual winding vintage watch with an expertly restored black dial which retains the original raised gold toned arrow markers and original matching handset. The sparkling syainless steel case measures 33.5mm. with lugs extending to 41.5mm. and 9mm. thin including the crystal. 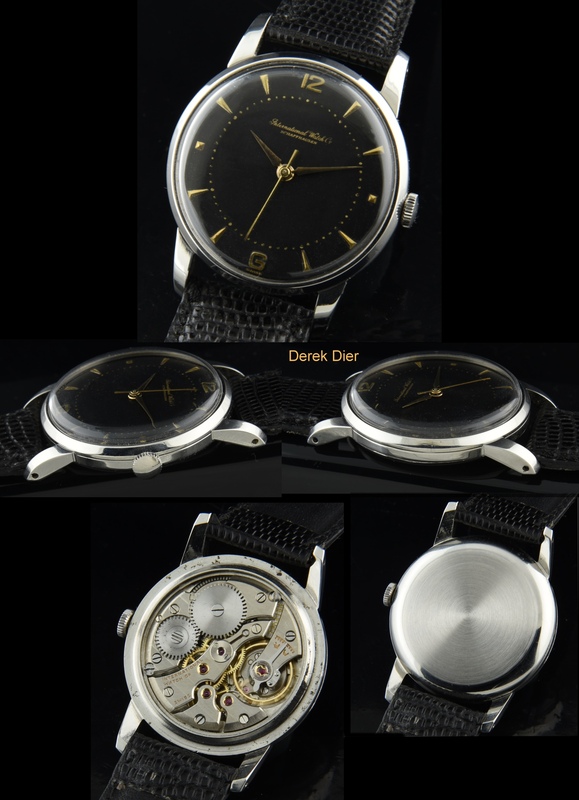 The caliber 89 manual winding movement is fine and famous-just cleaned and accurate. This understaded IWC watch really exudes a vintage and sleek look on the wrist.